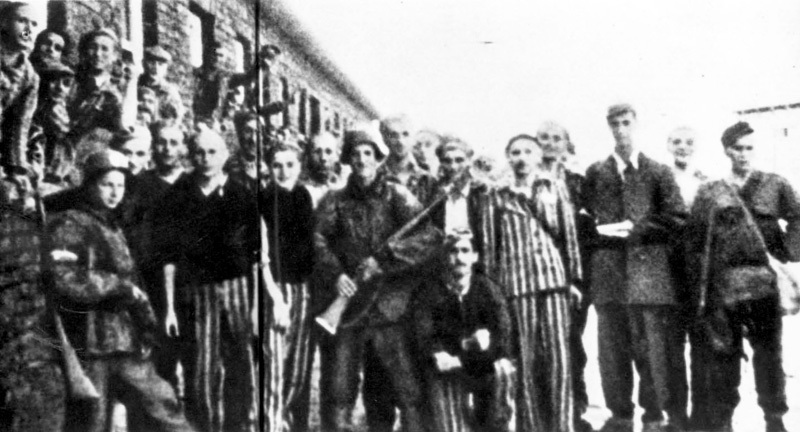 At the end of summer 1943 the Germans brought a group of prisoners from Auschwitz-Birkenau to Warsaw. 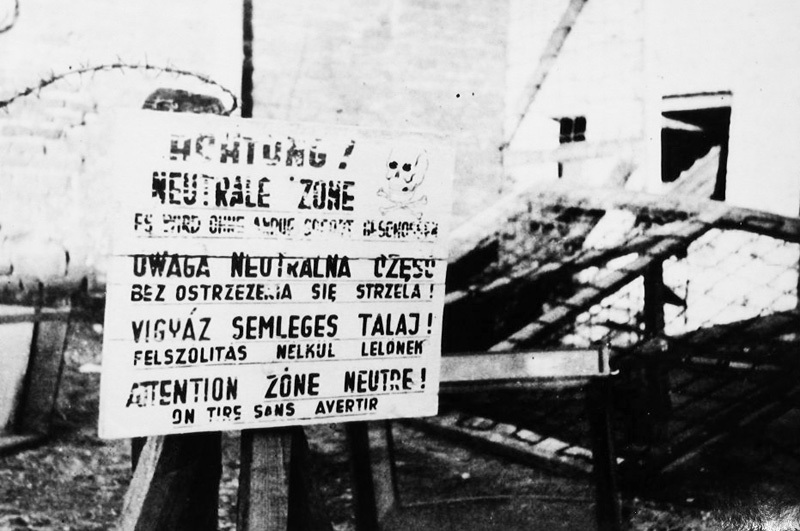 Only Jews who did not speak Polish were selected, so as to make it difficult for them to interact with the local residents. These Jews, most of them Greek, were used as forced labor in dismantling the ruins of the ghetto, so that these could be recycled into building material. 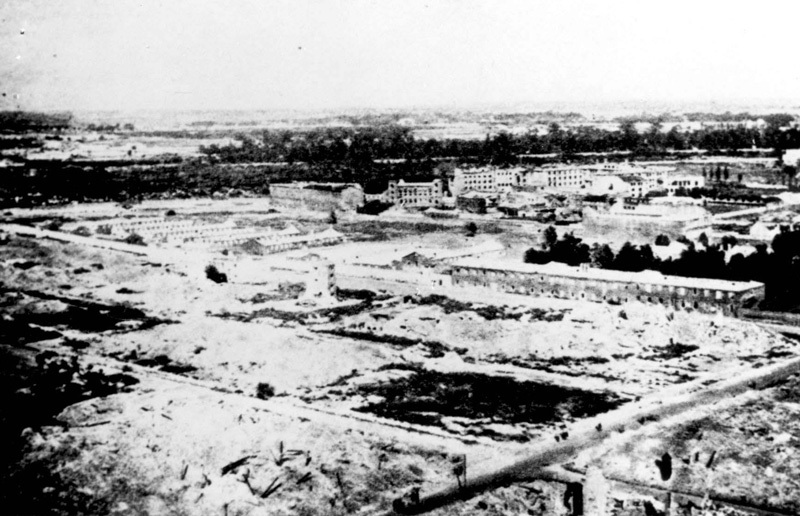 Between July and August, 1943, the prisoners were held in Gęsiówka, a concentration camp established in Gęsia Street, which was administratively a sub-camp of Majdanek. The prisoners, and in particularly the Jews from Greece, suffered from the harsh weather conditions, from the cold, to which they were unacclimatized, from hunger, and from an outbreak of typhoid fever. Despite the barter with Polish residents, after a year in the camp some 800 of the Greek Jews, about half, had died. 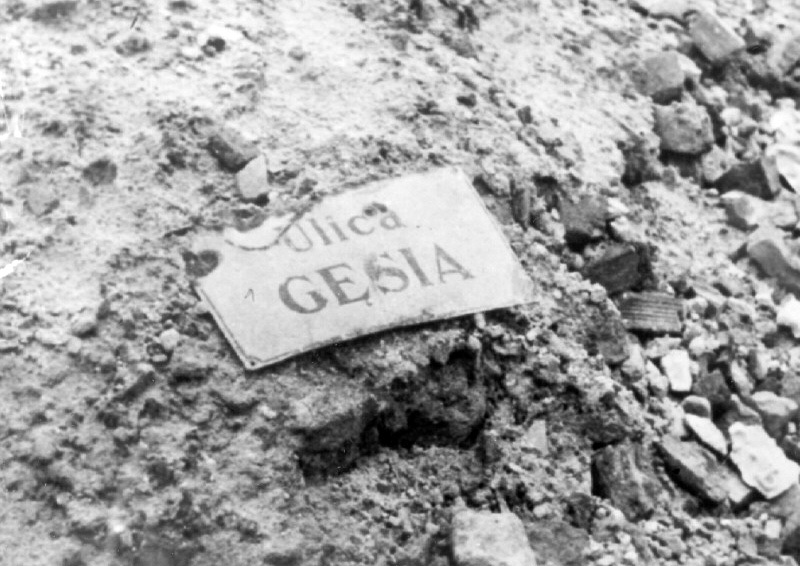 In May and June 1944, the Germans brought additional groups of Jews from Auschwitz-Birkenau to Gęsiówka, mostly Hungarians. 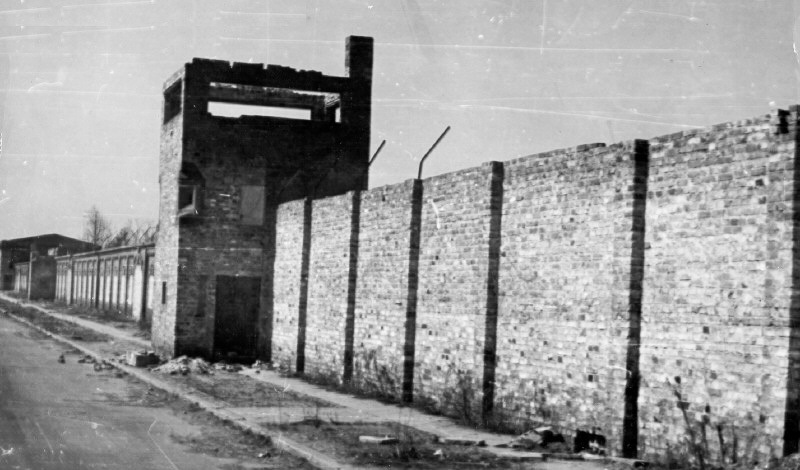 In July 1944, as the Red Army was approaching Warsaw, the Gęsiówka camp was emptied of its prisoners, who were deported by foot and had to march 30 kilometers a day. Many of them were murdered along the way. Those who survived ended their march at Dachau. 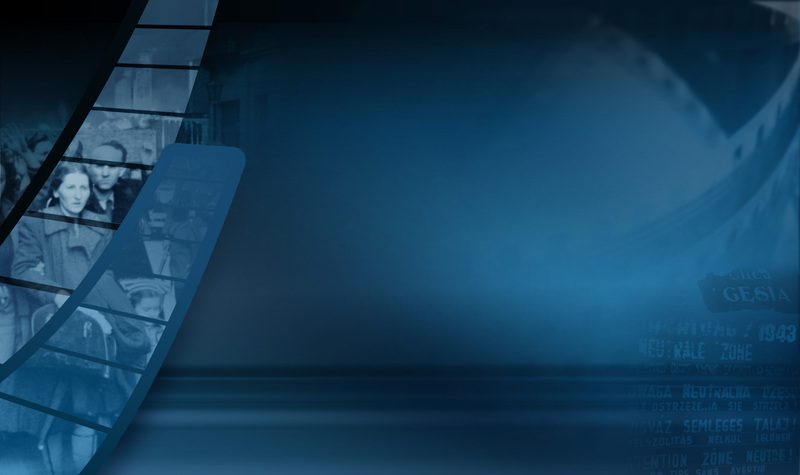 On the 1st of August 1944, the Armia Krajowa began the Polish Warsaw Uprising. A group of Jews, members of the Jewish Fighting Organization who had succeeded in escaping the ghetto after the rebellion had been suppressed, also took part in the uprising. On the 4th of August the Polish forces liberated hundreds of Jews from Greece and Hungary imprisoned in the Gęsiówka concentration camp. These Jews then joined in the fighting, serving in auxiliary units. Many of them were killed in action.